Committed to improvement, dedicated to the development of high performance products…. 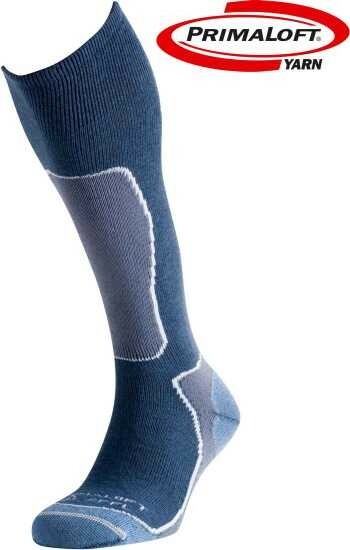 From the beginning, LORPEN’s R+D+i department has designed the most advanced technical socks in the world that distinguish Lorpen from competitors. The manufacture of LORPEN Technical Socks is so precise, that it requires a Quality Management System in order to guarantee all socks meet strict tolereances of elasticity, abrasion resistance and finishing. LORPEN’s Quality Management System is certified under UNE-EN-ISO 9001. - Be comfortable on your skin. - Primaloft® Footwear Insulation: incredibly soft, lightweight, breathable with excellent water repellency so you remain dry, warm and comfortable—even under the most extreme conditions. - PrimaLoft® Yarn with Quick Draw Technology™ combines the hydrophobic (moisture repelling) properties of PrimaLoft and the hydrophilic (moisture wicking) properties of wool combine to form a dynamic “force field” to pull moisture away from the skin and push it out. The end result is an ideal moisture manangement system that provides dry and comfortable feet. * Coolmax® FreshFX™: New Coolmax® development with antimicrobial propierties keeping the socks smelling clean and fresher for longer. * Thermolite®: it’s a hollow core polyester fiber that has excellent wicking and insulating properties in a very light weight. * Coolmax® from Advansa®, Modal® & Micromodal® from Lenzing®, Polycolon® & New Merino Wool from Schoeller®, Lycra® from Invista®, Natural Silk or Italian Wool, are some of other recognized fibers used by Lorpen. Lorpen’s LIFEFit exclusive construction system guarantees to user the maximun comfort and performance in every LIFE activity. Lorpen has joined to its staff some elite users as qualified consultants to research and to develope new products ( Lorpen Test Crew). 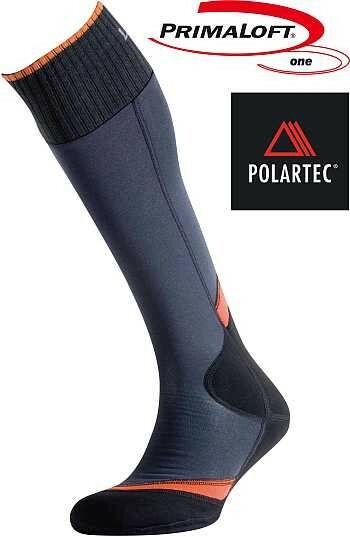 Those users are sportmen and sportwomen that test Lorpen socks under wearing extreme conditions as: Iñaki Ochoa de Olza, professional climber with 12 of 14 mountains over 8.000m, or Team Finland raid team, or some scientifics expeditions to the Antarctica. 65% of company production is exported to the following main markets: USA, Russia, Canada, France and Finland. But The company has 56 distributors worlwide and displays at the most important international trade shows. Lorpen also exports to so exceptional countries for Navarre’s export as: Greenland, Iceland, Kazakstan, Moldova, Nouvelle Calédonie or Singapore. Lorpen opened a sales office in Toronto ( Canada), that deals with 50 agent network with more than 500 North American customers. In 2006, Lorpen also opened a new facility in Puebla, Mexico to supply North America market. In 2006 Navarre’s Chamber of Commerce awared Lorpen- Industrias Savidai, S.L. with Export prize.